So, I was shopping Bloomsbury's annual end of financial year sale the other day, when I was suddenly possessed by someone who reads award winning literature; not wanting to waste the money spent on the book, I wanted to read it before the exorcism, so I cracked it open as soon as it arrived. The ripping-off-the-bandaid method for personal growth. Half-kidding aside, while I do generally use literary award short lists as guides of what not to buy, Lincoln in the Bardo has intrigued me for some time - from the descriptions, it came across as an adult version of Gaiman's The Graveyard Book, and while this sale was on it seemed as good a time as any to give it a try. It turns out there is a lot in common with The Graveyard Book in terms of setting and characters, but it goes worlds beyond, too. 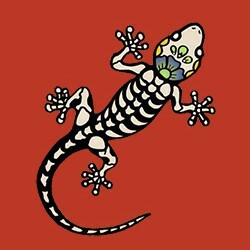 It's an odd book. Written as something akin to witness testimony, only in present voice, and interspaced with historical quotes about the Lincoln administration and Willie Lincoln's death, each complete with proper citations, it's constructed in a way that is unique in my (admittedly limited) literary experience. Upon Willie Lincoln's death and internment, Willie fails to move on as he should and a battle erupts in the graveyard over his eternal soul. Saunders populates the graveyard cast with a wide and varied collection of souls, good and bad, all flawed, although Saunders seems to prefer a larger percentage of twisted and corrupted. Perhaps this makes sense in the construct of the story's logic, but there were moments that teetered precariously towards gratuitous. Is this story Man Booker worthy? I wouldn't know, but it is brilliantly written; unique; startlingly creative. Did I like it? Yes, it was a compelling story; one I couldn't put down and read in two sittings. Do I think it's the acme of the literary form? No, but probably not far from it. Did I find it flawless? No. What was the reverend's fate? Saunders invested an awful lot of intimate detail in the reverend to just leave his fate unexplained. And I found the ending ... odd. Abrupt. In any other literary form, I'd say there's a sequel in the works. 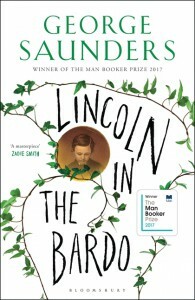 LIncoln in the Bardo is in the purest sense, a ripping good story; one that just happened to win an Important Literary Prize, and that's why I'd recommend it - the prize, in this case is irrelevant.